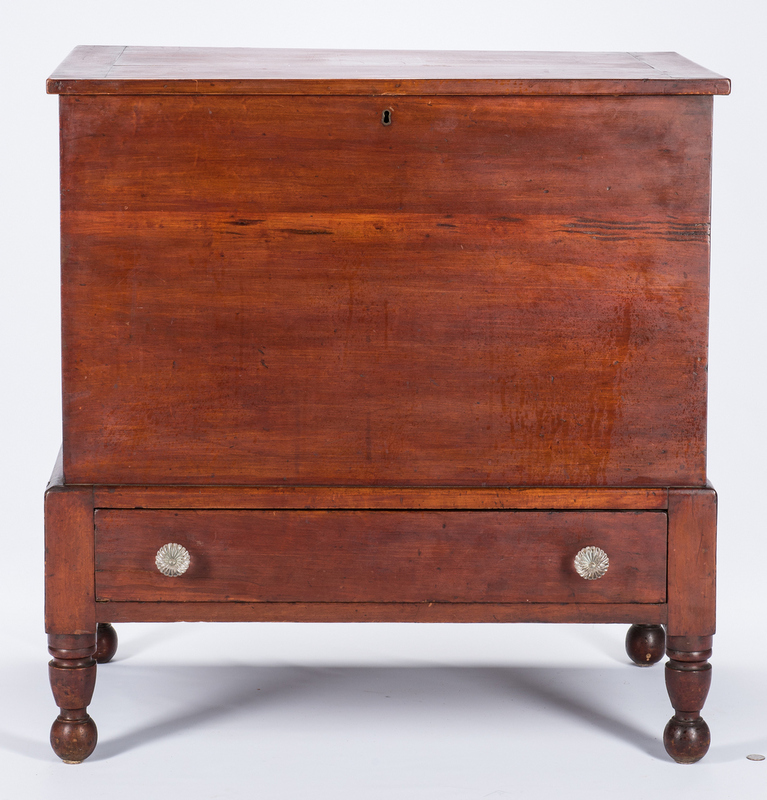 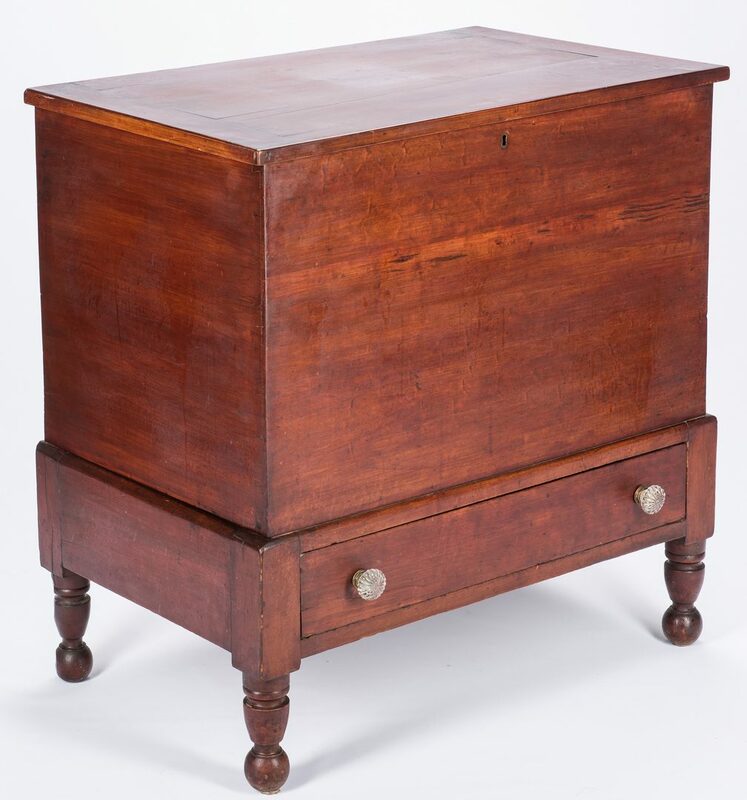 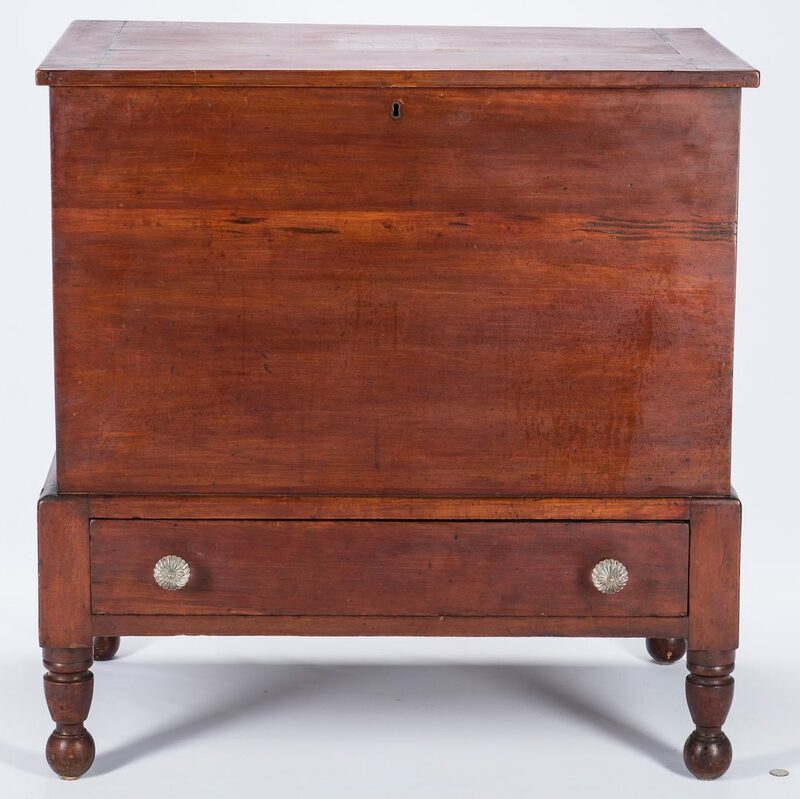 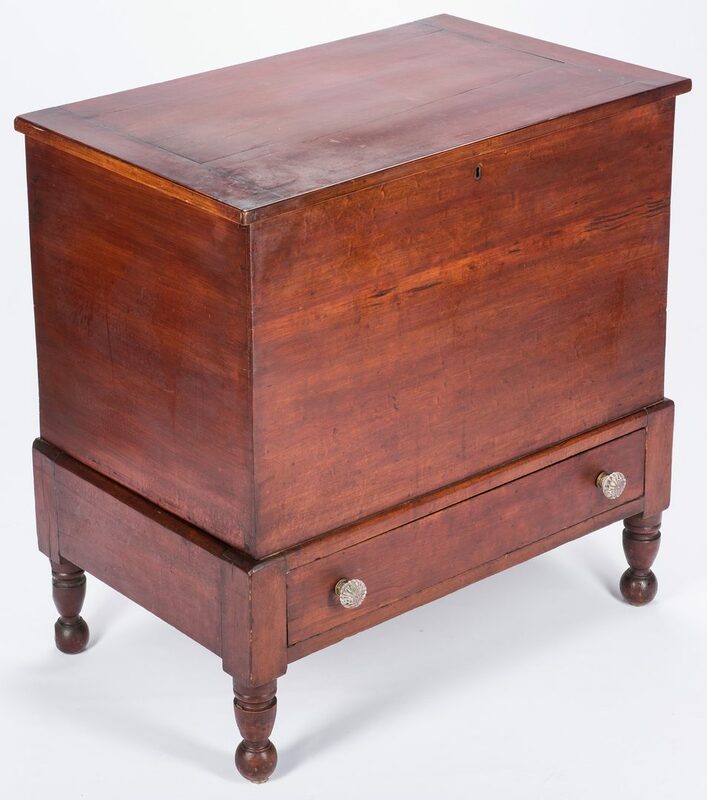 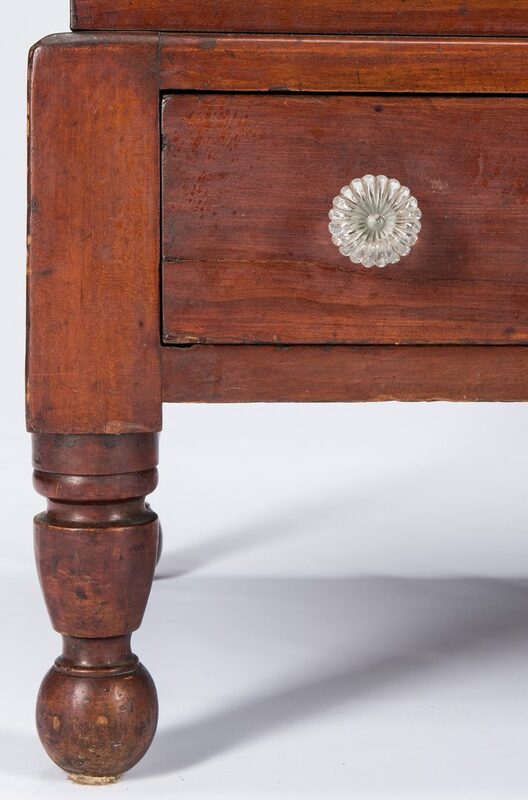 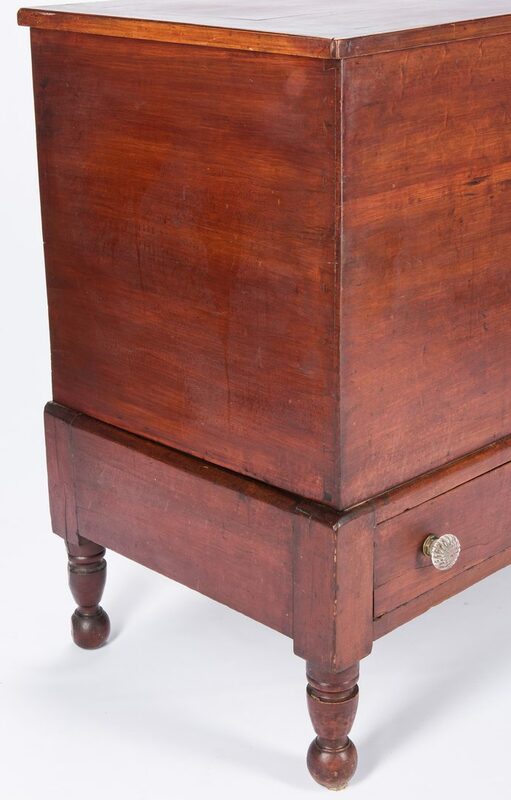 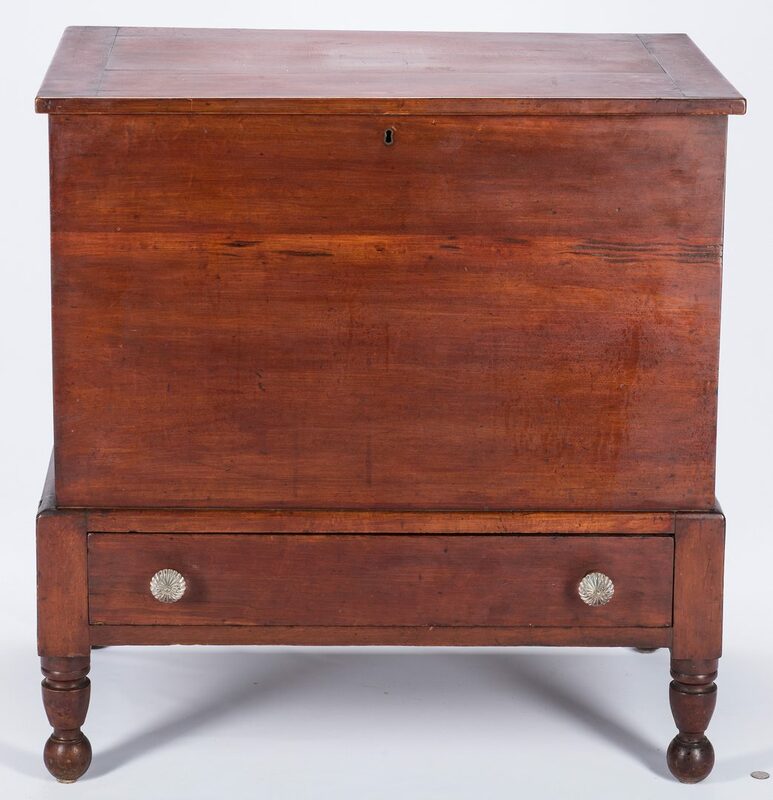 Lot 141: Middle TN Cherry Sugar Chest, Maury Co.
You are here: Home >> January 26, 2019 Historic Winter Fine Art and Antiques Auction >> Lot 141: Middle TN Cherry Sugar Chest, Maury Co.
Maury County, Tennessee sugar chest, cherry primary, poplar secondary. 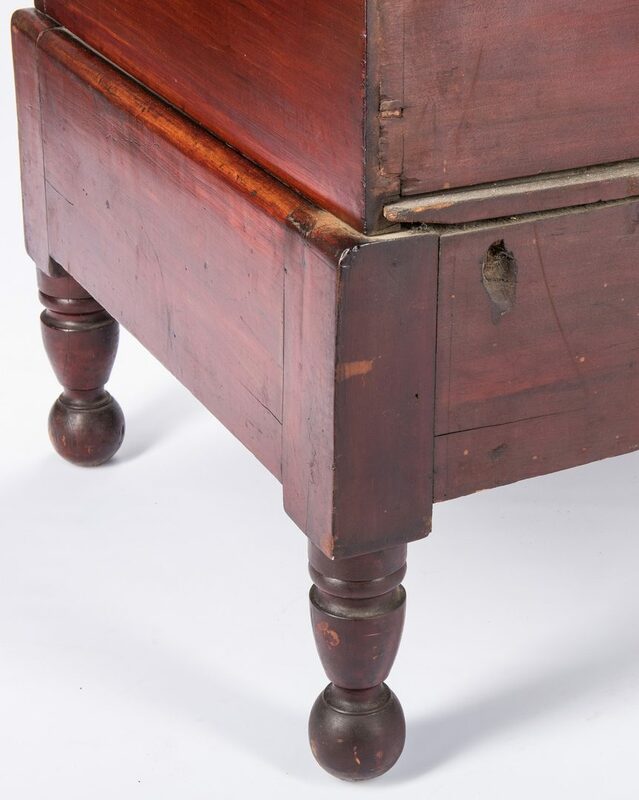 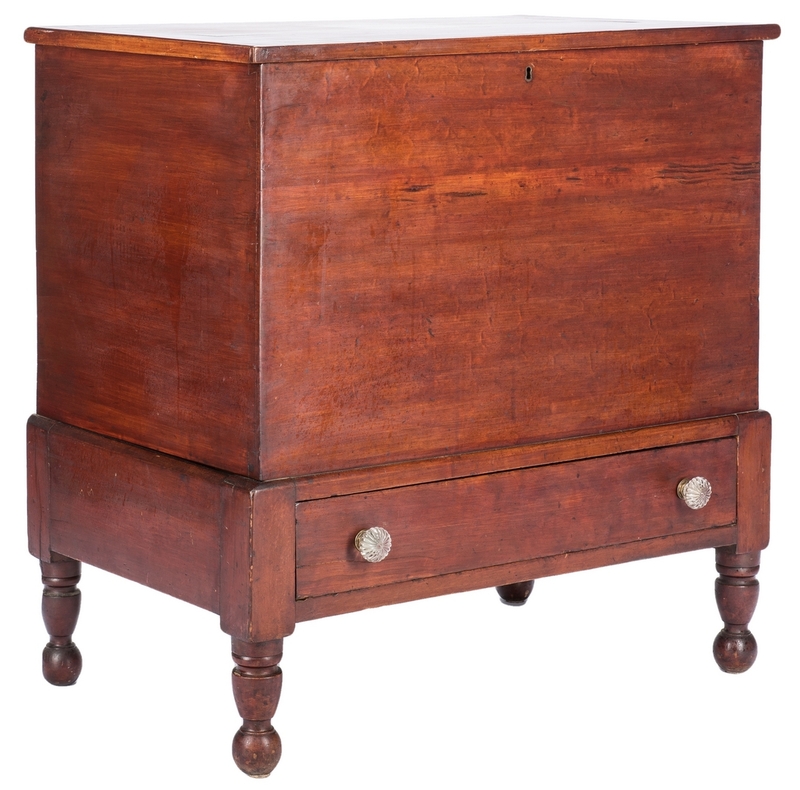 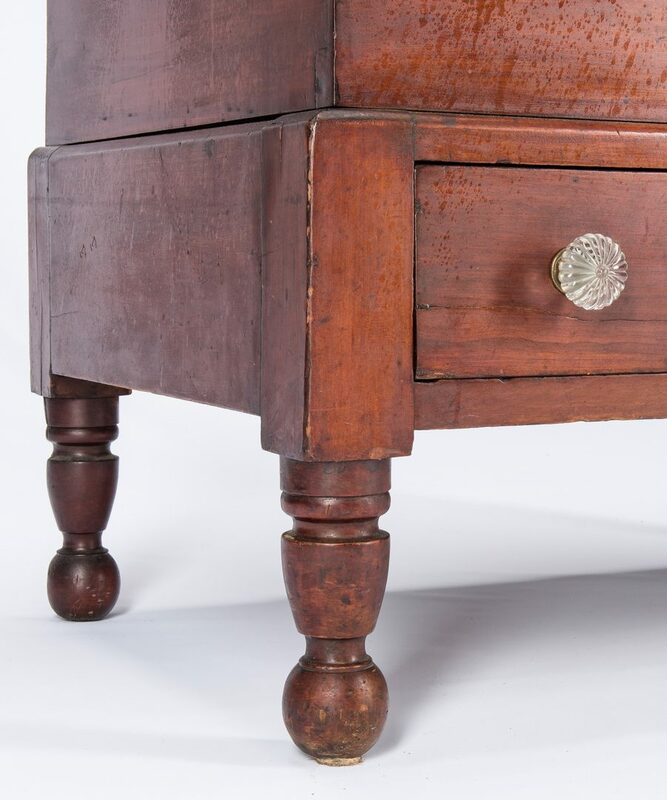 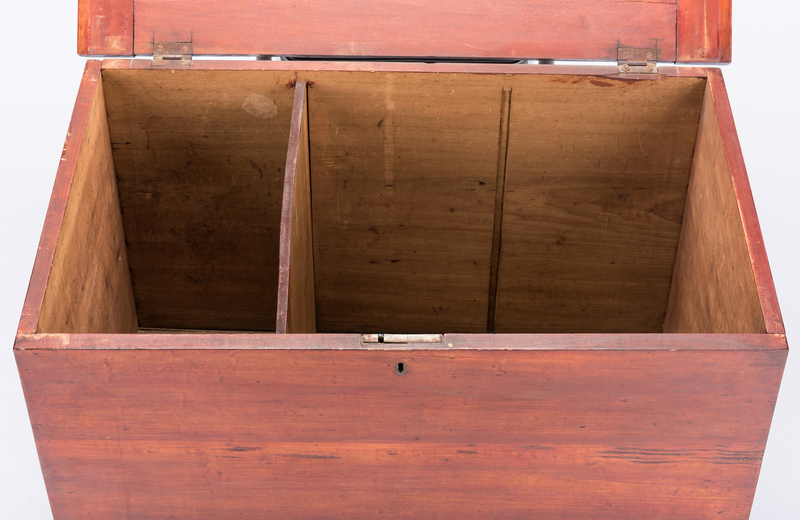 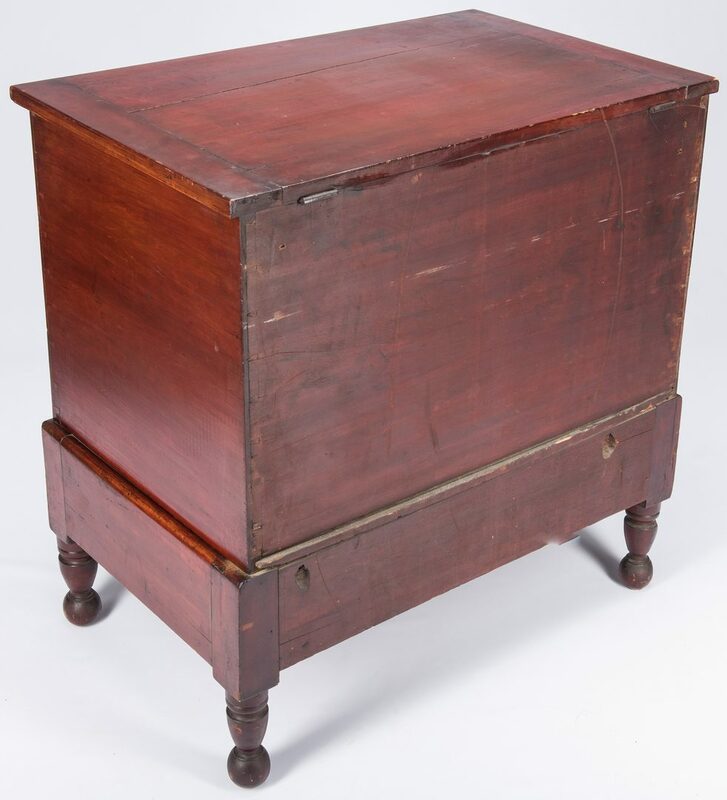 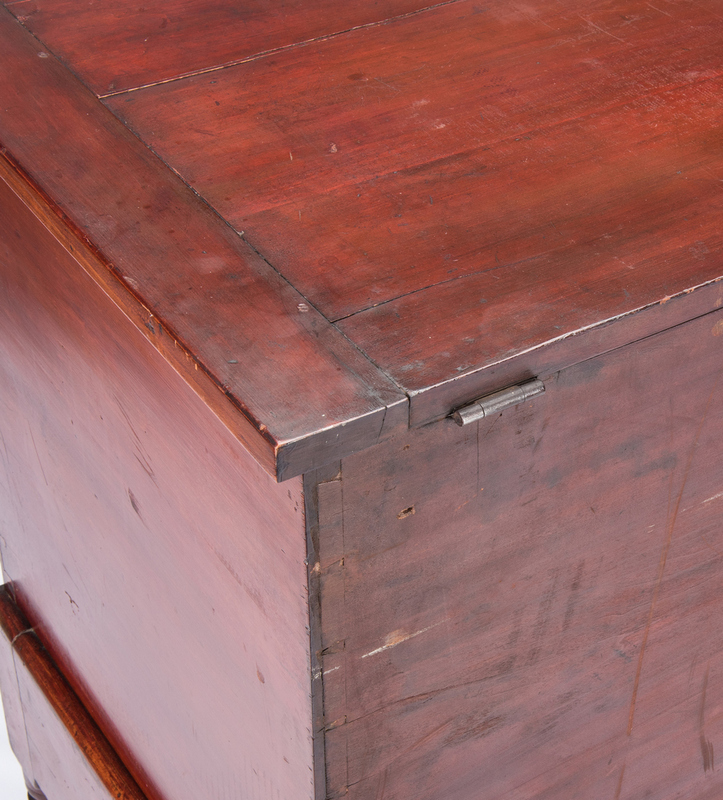 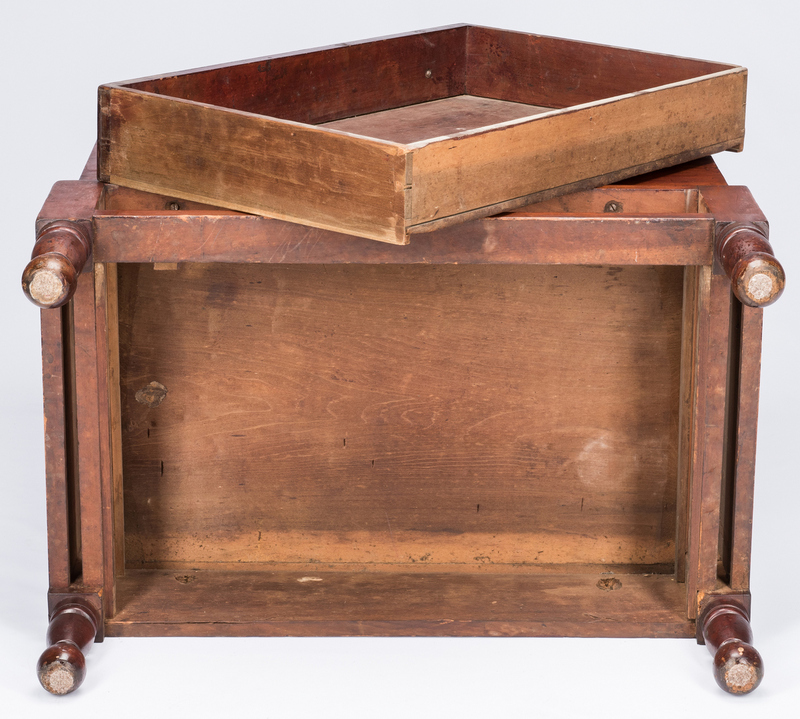 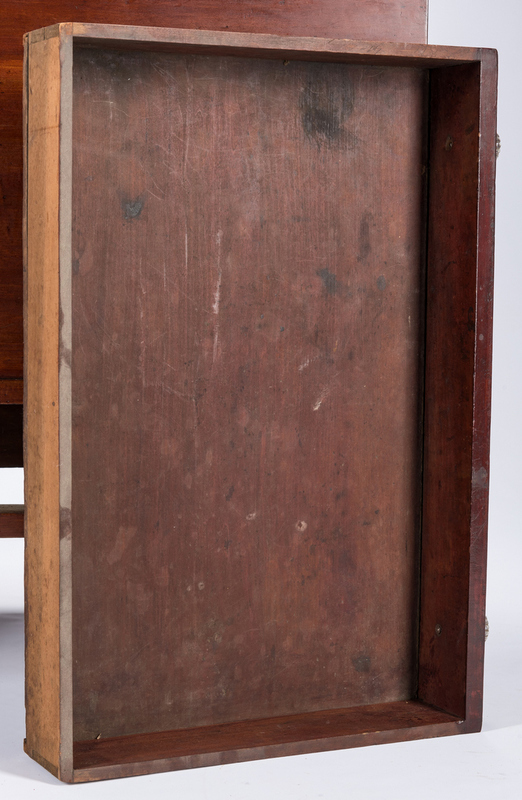 Rectangular case having a hinged lid with cleated ends and molded front edge, one dovetailed drawer over turned legs. 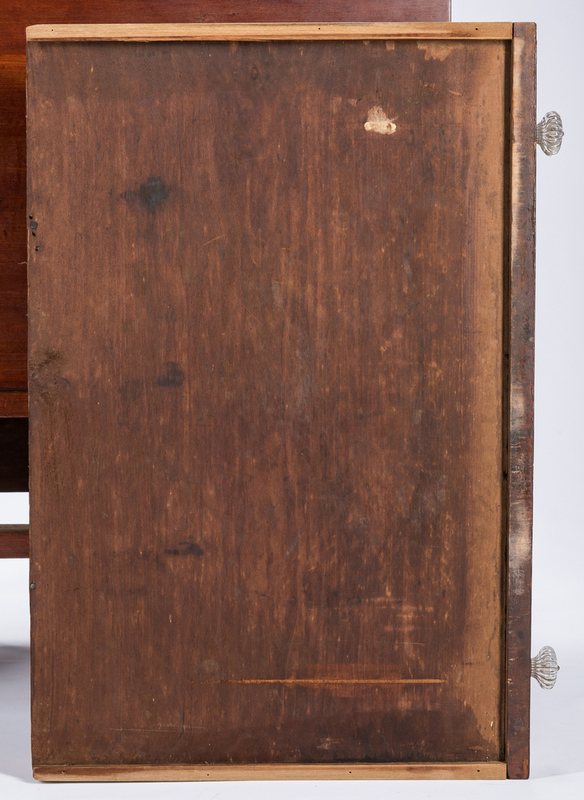 Retains the original divider and glass pulls. 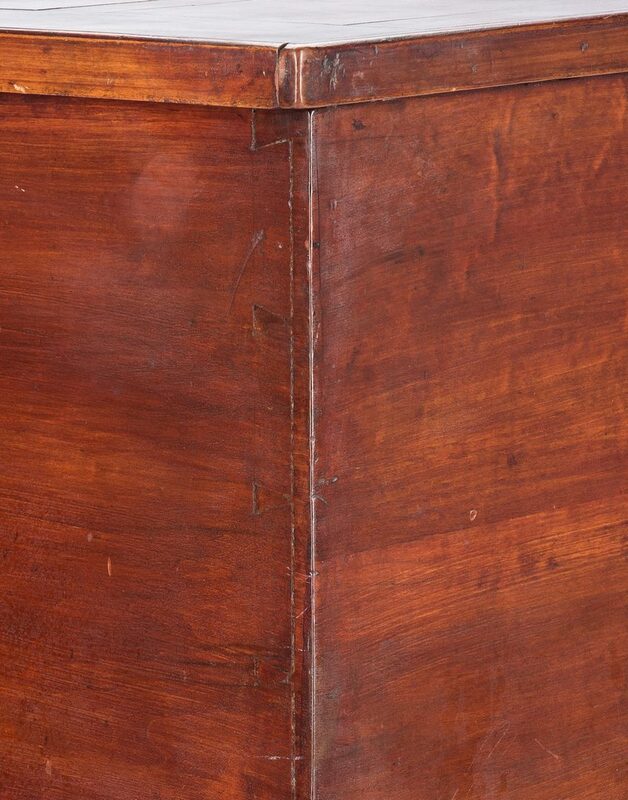 35 1/2" H x 34" W x 21 3/8" D. Circa 1835. 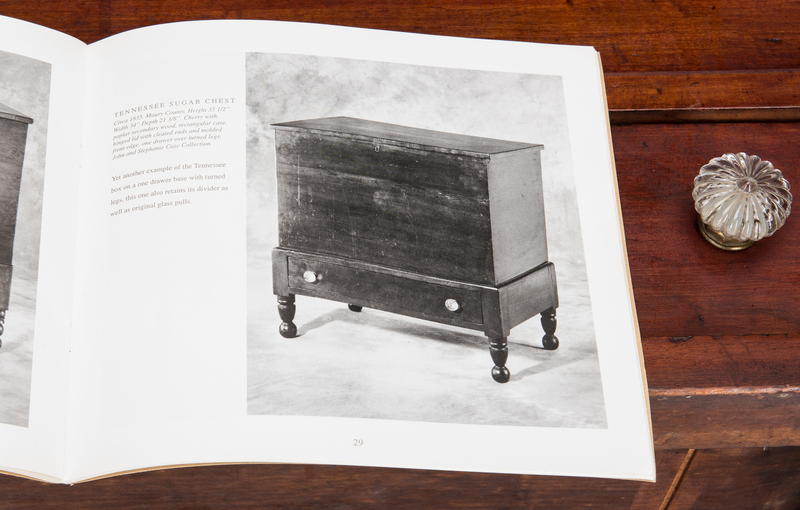 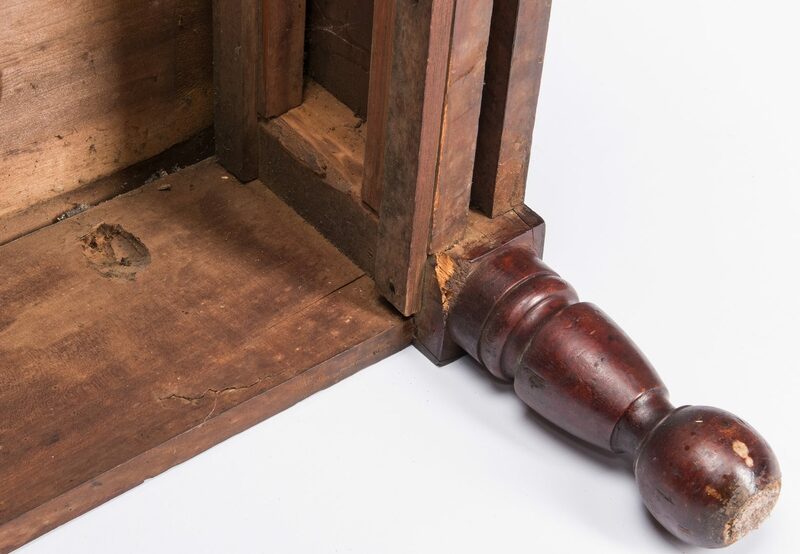 Note: Exhibited in 1996 at South Union Shaker Village, Auburn, Kentucky and featured on page 29 of the catalog "A Sense of Place: Kentucky Shaker Furniture and Regional Influence/ An Exhibition of Antebellum Kentucky and Tennessee Furniture". 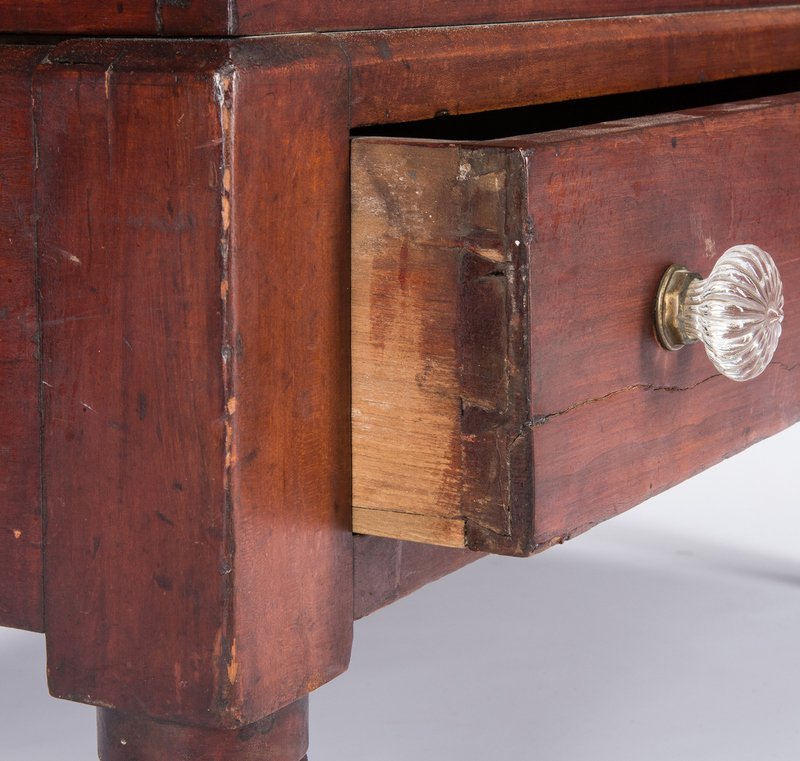 Provenance: the collection of Hank and Mary Brockman, Franklin, TN. 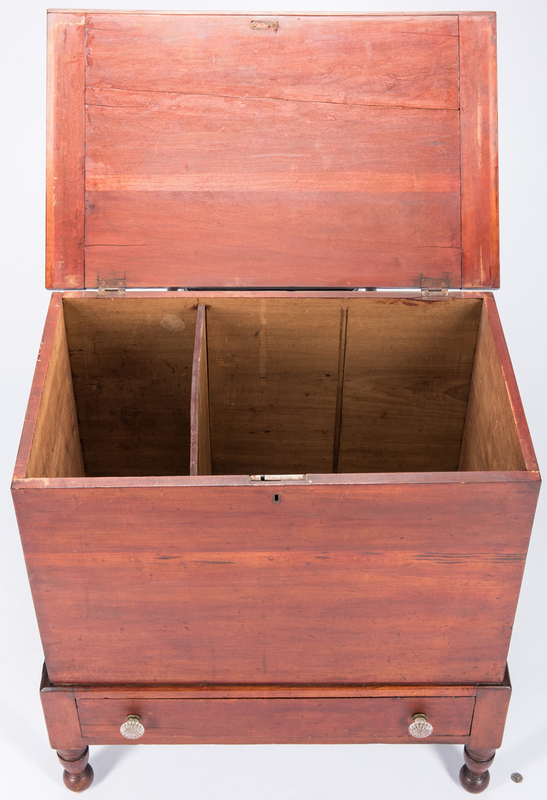 CONDITION: Older refinish with general wear. 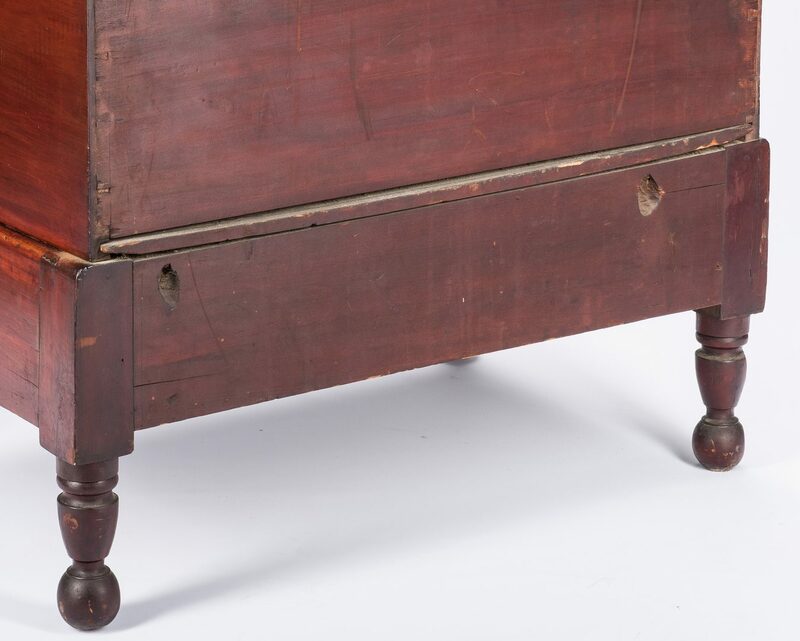 Overall very good condition.